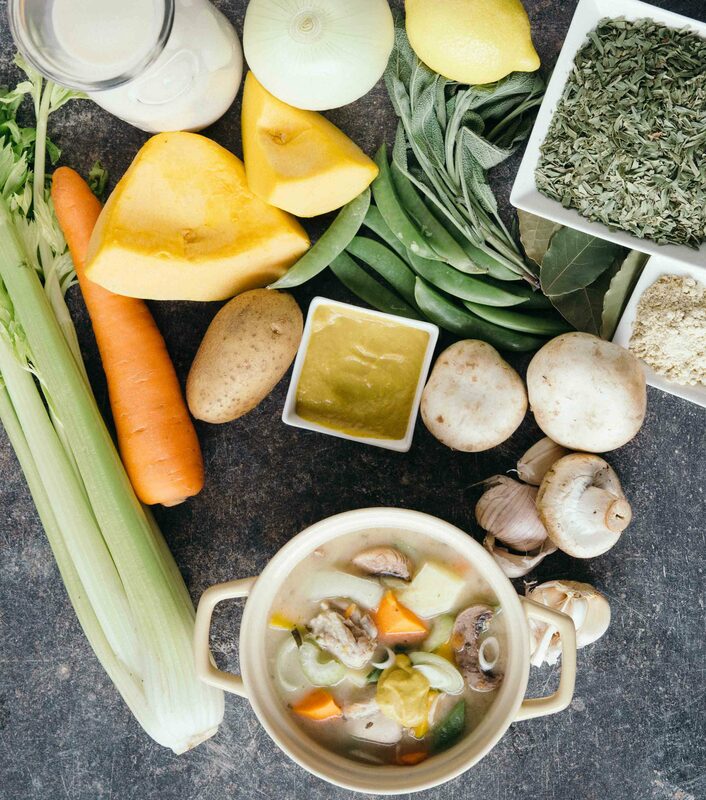 The colours and goodness that go into this SouperChef Special, Braised Chicken in Milk! I have always liked tangy food, the way the sourness makes the food a little more sprightly and appetising! 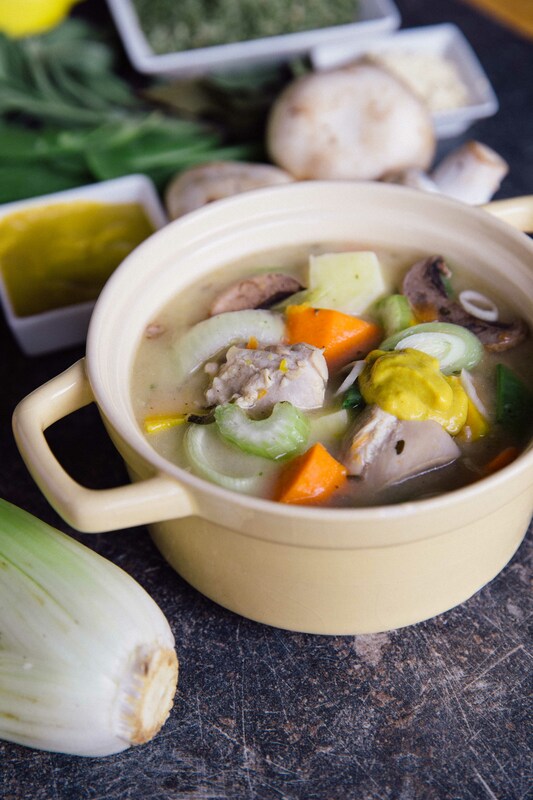 In this new SouperChef Special, we have marinated the chicken in lots of lemons and mustard, cooked in a milky broth with button mushrooms, chunks of potatoes and carrots and what else, more lemons and mustard! The result is a wonderfully tangy stew with chicken so silky and tender, and a broth so creamy you want to polish up every drop! Tarragon gives this dish an anise-like earthy, minty flavour, balanced with the sweetness of prunes and pumpkin! Most of the creamy soups today are made with dairy cream but a visit to Fonterra Waitoa Plant gave me an inspiration to use milk instead! 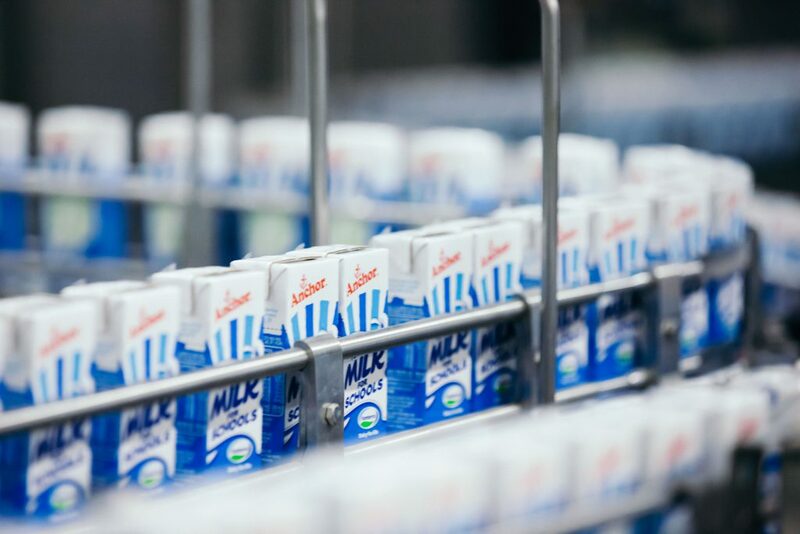 There, milk was processed and packed away for Fonterra Milk For Schools, an initiative providing 140,000 packs of milk to NZ school children every day. A gift that keeps giving! I was reminded of how milk can be used to tenderise chicken and with its high nutritional content, it makes souperb sense to create a soup where the chicken is braised in the goodness of milk!